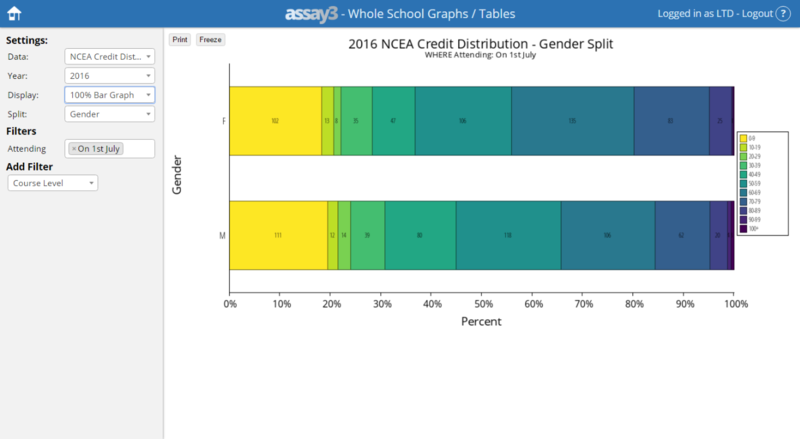 Data is a very powerful tool for helping students achieve their best. However, we are busy people so we’ll only use data when we can get it fast and in an easily digestible form. Provide a range of filters including gender, ethnicity, level, etc. I want a way to quickly get an overview of my tutor class….. 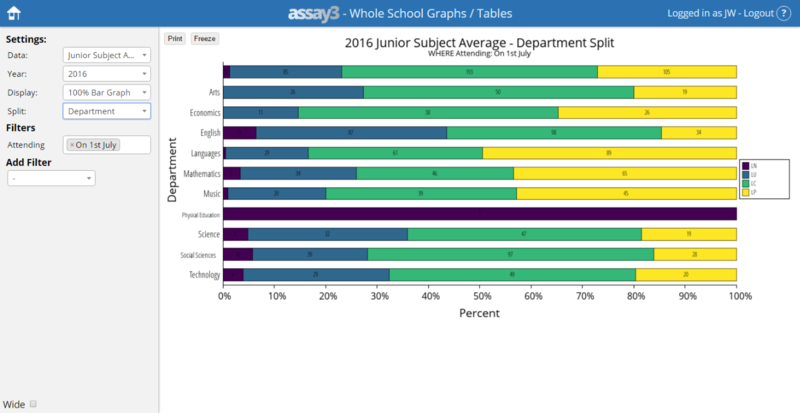 Done: the dashboard mode gives quick overview of where all the students in your form class are at. 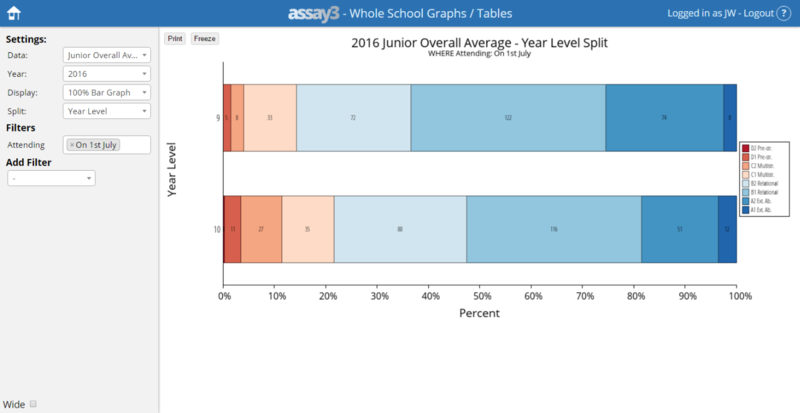 I want a way to quickly see how each of my students is going compared to their other classes, previous years’ results and their intake data such as PATs….. I want a way to quickly see how my whole class is going….. 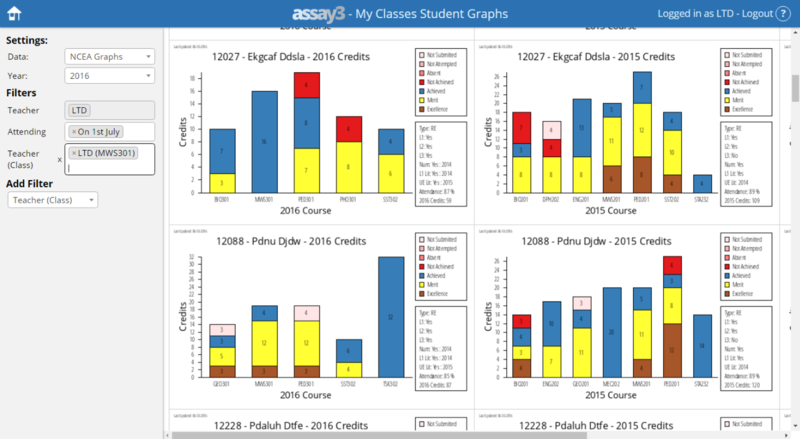 Simple: At click of a mouse, you can see how each class is achieving and how your classes finished up the previous year. 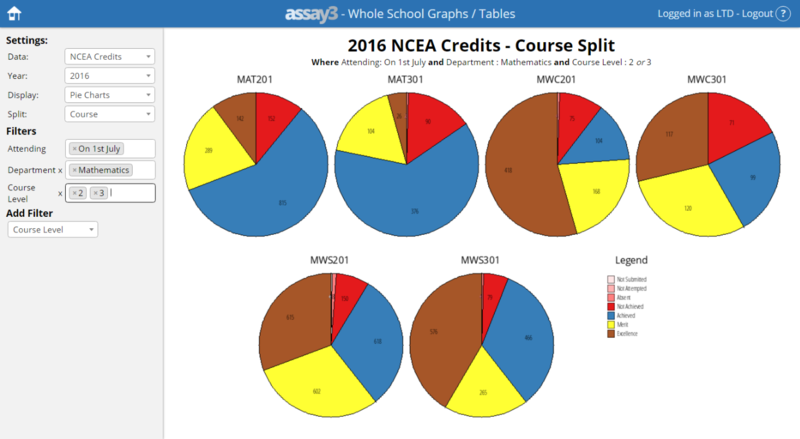 I want to get updates each time one of my students gains some credits or has their attendance go above or below certain thresholds…. 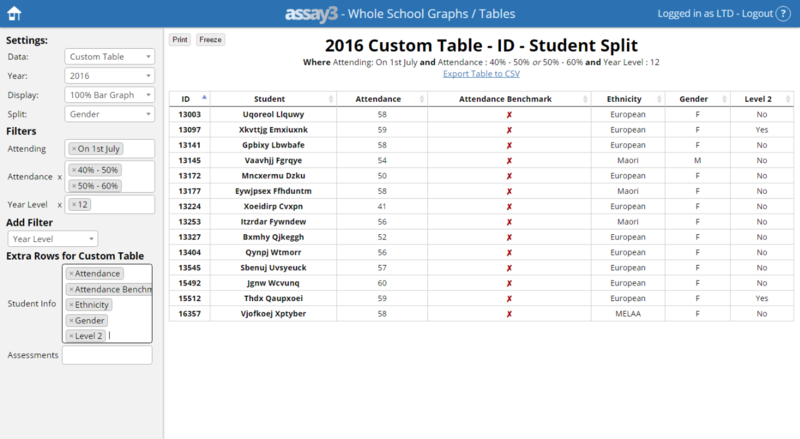 Done: Assay lets you subscribe to either individual students or whole form classes and get updates each time new data is loaded in. 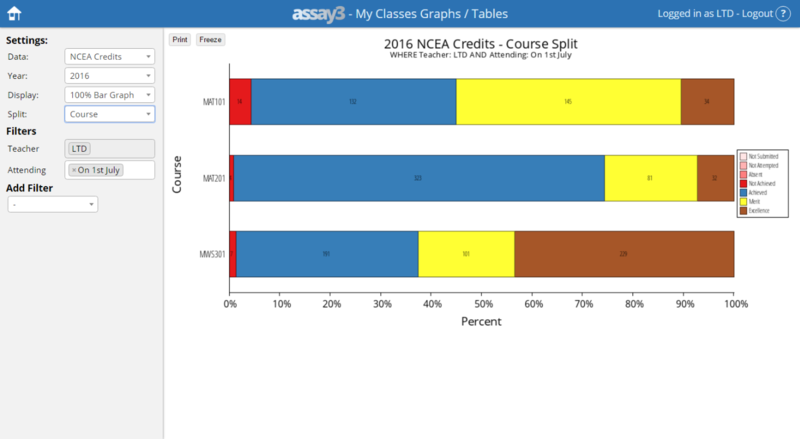 I want to see how my teacher’s classes are tracking. It’s all there in a digital heartbeat. 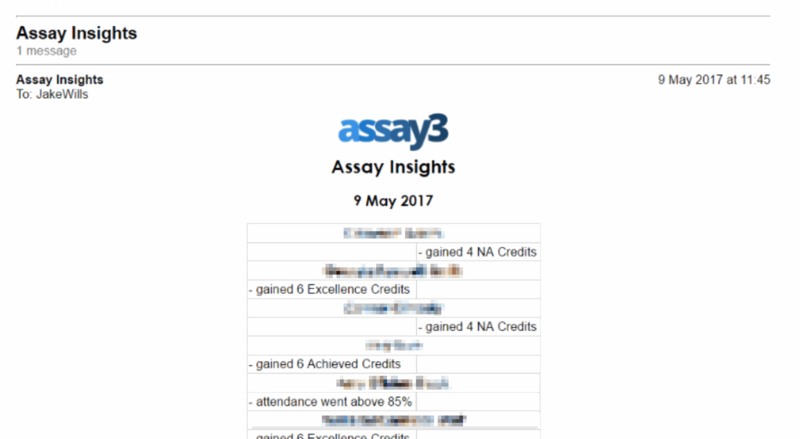 The graphs on Assay allow you to see everything from ‘Not Submitted’ to ‘Excellence’. I’m wondering how my department as a whole is going. HODs need to be able to keep on top of this during the year, not just report on it at the end. Assay makes this easy. 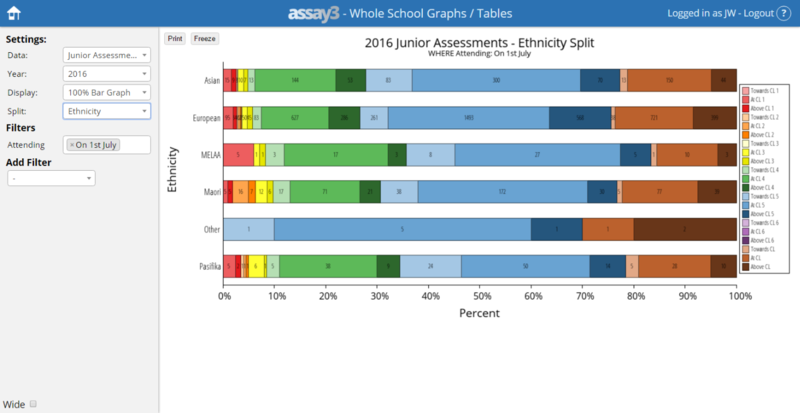 Are we making progress on our gender and ethnicity goals? Easy with Assay. Yes, the girls are doing better….no surprises there…. Especially for Deans: I want to track a student’s progress against previous results and attendance and intake data. You can create custom tables with any data that you are after in a quick and easy way and all of these tables can be downloaded for you to do whatever with. 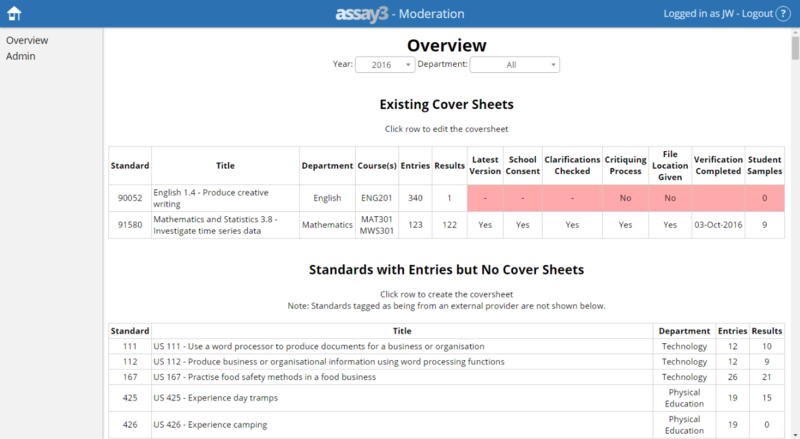 Especially for Principal’s Nominees: I want to track who has completed their internal moderation coversheets. You can see this all in one screen, choose who has access to them and see what has and hasn’t been completed. Health and Safety: I want to track hazards and incidents around the school. 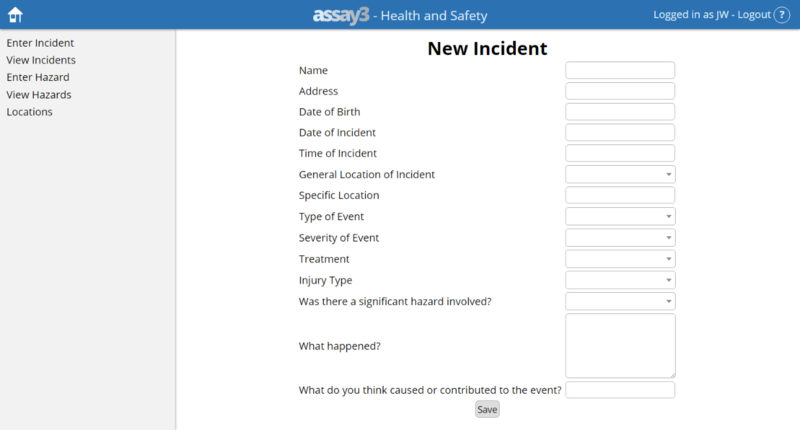 Anyone who is logged in can easily add incidents and hazards, and users with admin access can review and edit these incidents and hazards and keep a record of what has and hasn’t been dealt to. Yes, but does require the data to be imported from your SMS. This can now be set up so it can be done fully automatically.Can you do junior systems as well as NCEA? Are you doing anything with Communities of Learning? If our data is on your server, how do know that privacy will be maintained? If the site is on our server, you will receive a commitment on the privacy of your data. If it is on your server, privacy is clearly not an issue. A couple of hours if on our server. If it is on yours, we provide the files and any helpdesk support you need. Yes. Your IT technician will be able to do this. Full instructions can be seen in the knowledge base. What are the requirements for the server? The server needs to be running a web publishing engine (eg: Apache or IIS) and running PHP. It also needs to support SSL (you can get this for free)… for full installation instructions see here. Many schools are running it on the same server as the KAMAR™ Parent Portal. Will teachers be able to see their colleagues results? 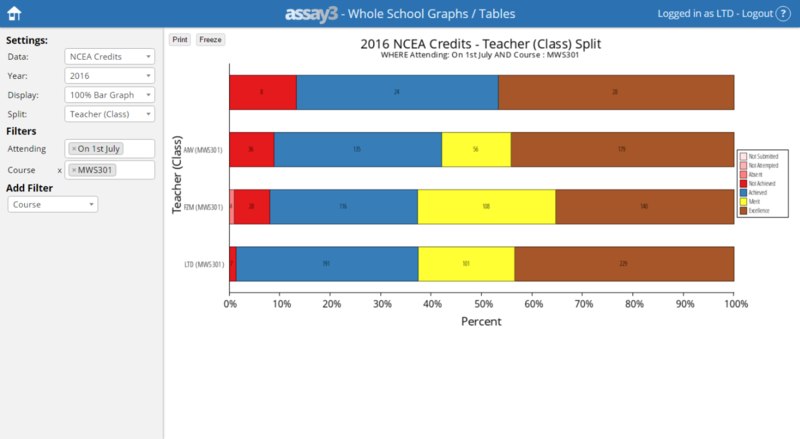 To a limited extent, by looking at individual students’ data. Those with access to the more detailed data will be able to see everything. The school has full control over who sees what. Can Assay replace your SMS? No, Assay is designed as an addon to your SMS and it will not replace it. Where can I find out what the graphs mean?? Click here for access to the knowledge base that explains all the sections and also has info on installing and more. What you’ve done is awesome, do you do data analysis for other organisations other than schools? Sure, quite happy to get involved… just flick me an email and we’ll have a chat. Click here for access to the knowledge base. While the data that the demo version contains is not a complete set, it will give you a good picture of the possibilities that Assay offers you.We regard Assay as a work in progress. Email us your ideas for improvement and we will do our best to incorporate them. for all their input and advice. This product wouldn’t exist without your help.